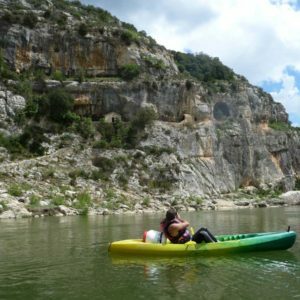 30km of waterway ranked 1, the Gardon is an easy river, accessible to beginners as well as experienced. 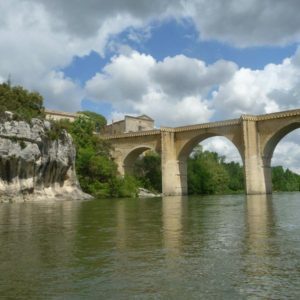 Enjoy the calm to discover a preserved nature in one of the “grands sites de France”, ranked Natura 2000. At the bend of a cliff, look up, glimpse one of the Eagles of Bonelli and let yourself glide over the meandering accompanied by herons, or with a bit of luck a beaver. 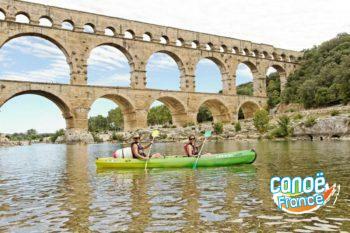 Finish your trek in apotheosis by passing under the arches of the majestic Pont du Gard, an unforgettable experience. 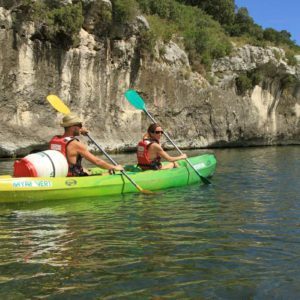 We offer treks that respect nature and the wilderness that you will go through. Thus the camping overnights are out under the stars, you won’t find any fully equipped camping area, no bathrooms, fires are prohibited and any waste must be brought back to the base. 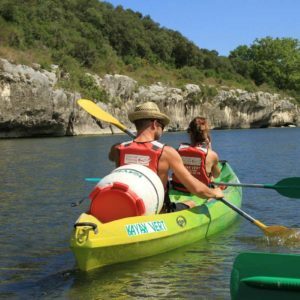 All these rules protect and preserve the wildlife and unique vegetation of the Gorges du Gardon.